Cavco is a leading designer and builder of systems-built structures. 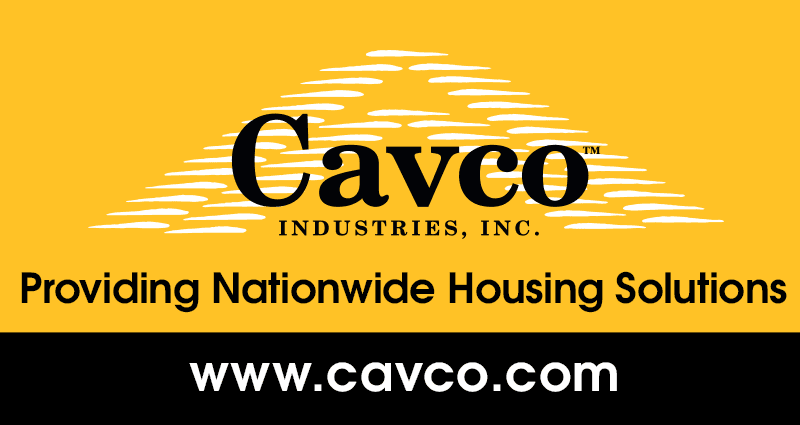 We operate 20 manufacturing facilities across the nation, which build some of the most widely recognized brand names in the industry: Cavco Homes, Fleetwood Homes, Fairmont Homes, Chariot Eagle, Palm Harbor Homes, Lexington Homes, and Nationwide Homes. In addition, Cavco builds park model RV’s and vacation cabins. The company’s insurance group, Standard Casualty, offers a wide range of insurance products for manufactured home owners and its finance subsidiary, CountryPlace Mortgage, offers a variety of homebuyer financing options. Based in Phoenix, Arizona, the company has built a reputation for quality, value and service since its founding in 1965. Click here to view their home and all of its features! For decades, Champion has served as a leader in the manufactured housing industry and one of the largest modular homebuilders in North America. Our manufactured homes, modular homes, mobile homes, park models and commercial modular buildings can be found throughout the United States, western Canada and the United Kingdom. WHY SCHULT ROCKWELL? In 80 years, we’ve learned a lot about what people want from a home builder. Today, we strive to exceed these expectations with every home we build. Every Schult Rockwell home is built to standard features that form a solid base for years to come. When you walk through a Schult Rockwell home, you know immediately that it’s built to last. Designs have changed over the years, but one thing has remained the same – the name Schult Rockwell is still synonymous with “quality” in the housing industry. INTEGRITY NEVER GOES OUT OF STYLE! We want to earn your loyalty and we are committed to making your experience with us a 10! That’s why, after 80 years of taking care of customers, Schult Rockwell continues to be the home of INTEGRITY. Every relationship is built on TRUST and your family can rest assured that Schult Rockwell will be there. Backed by Berkshire – Hathaway, Schult Rockwell is committed to continued strength and stability for years to come. Here at Schult Rockwell, we are dedicated to providing the highest QUALITY products that are backed by the best warranty in the industry. Since our humble beginnings in 2005, Legacy Housing has quickly become one of America’s leading brands in manufactured housing. In our 3 state-of-the-art factories located in Texas and Georgia, Legacy is building high-quality, value-packed homes to independent retailers and MHC/park communities across the country. Named to Inc. Magazine’s list of top private companies several times over the past decade, Legacy is consistently raising the bar in the factory-built home industry with furniture-friendly floor plans, a wide selection of modern décor options, their new Ultimate Home and Tiny Guesthouse product lines, and more standard features packed into our homes than many of the big-box competitors. With a vast array of in-house financing packages, Legacy has officially “changed the game” when it comes to providing a high-quality home to our retailers and their customers at today’s industry best-value pricing. Clayton Savannah has been building homes in the Pickwick Lake/Tennessee River community since 1968. Their latest models range in size from 492 to 2400 square feet with multiple interior and exterior design plans. Savannah homes include porch options, Energy Star features and Duracraft cabinets. Whether you’re looking for a weekend getaway or a large family home, there’s a Savannah proven model for you.